There is nothing as beautiful as the feeling we get, when we make someone smile and laugh. I have always believed in this ever since I was a little boy. Nothing can match this feeling - it is pure and makes me calm, happy and blissful.. Try it for yourself and you will realize it’s incredible power. The more you make people around you smile, the larger your own level of happiness will be. 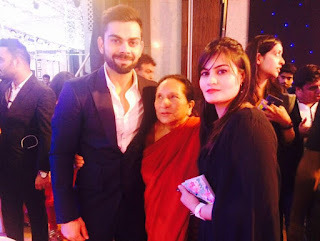 I had a wonderful experience and witnessed something incredible thanks to what SMILE Foundation and The Virat Kohli Foundation is doing for children all over our incredible country and investing in something we as Happionaires have always believed and that is the power of knowledge and taking action based on it. Their team comprising of incredible individuals such as Santanu Mishra, who co-founded the whole mission and others like Swatantra Gupta, Shifrah Jacobs and Manisha Singh. All of them went on to do something incredible last evening. They will all be in the prayers of the countless children they are empowering and receive their blessings. I saw the happiness in the eyes of countless children who they are supporting, who were all smiling, dancing, drawing, learning and making the most of this wonderful life we have been gifted with. In fact it was so touching, that by the end of it I saw tears in the eyes of Manisha Singh, who confessed they were tears of happiness and bliss. We have all experienced such tears, haven't we? It was also nice to see people from various fields, coming together to contribute, give back and ensure we invest in the future of India to make it an even greater nation. So we had Virat Kohli, Mahindra Singh Dhoni, Yuvraj Singh, Hardik Pandya supporting the cause and dancing with children and raising incredible amounts with a charity auction, the funds which will be used to empower children. Neeti Mohan and Arman Malik sang beautifully and once again got the children involved on stage. In addition to the charity auction, the cricketers and the lovely music, Vikas Khanna had flown down his entire team from Junoon, New York to prepare some incredible food. 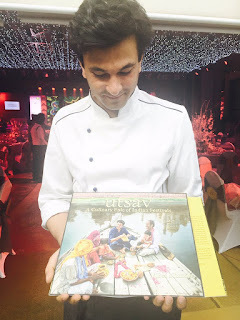 I joked with Aarthi Sampat, a superb chef who works very closely with Vikas, that all the women that evening would be hating her as she is always so close to Vikas - to which she responded they wouldn't if they knew it involved 14 hours a day of work at the kitchen, which she of course loves. 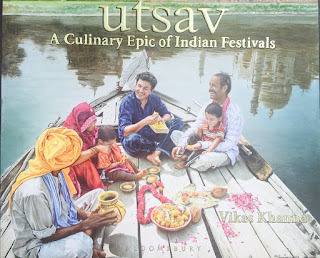 Vikas was super sweet and was sharing his experiences of showcasing India’s richness and vast cultural heritage through his book Utsav which he even gave President Obama, who was super impressed with the incredible diversity and vastness of India. He also came along with his very beautiful mom. I like him and he is definitely a hit with the ladies - he knows his target audience well too. Any brand using him to market their products to the ladies has a master marketer and seller in him. 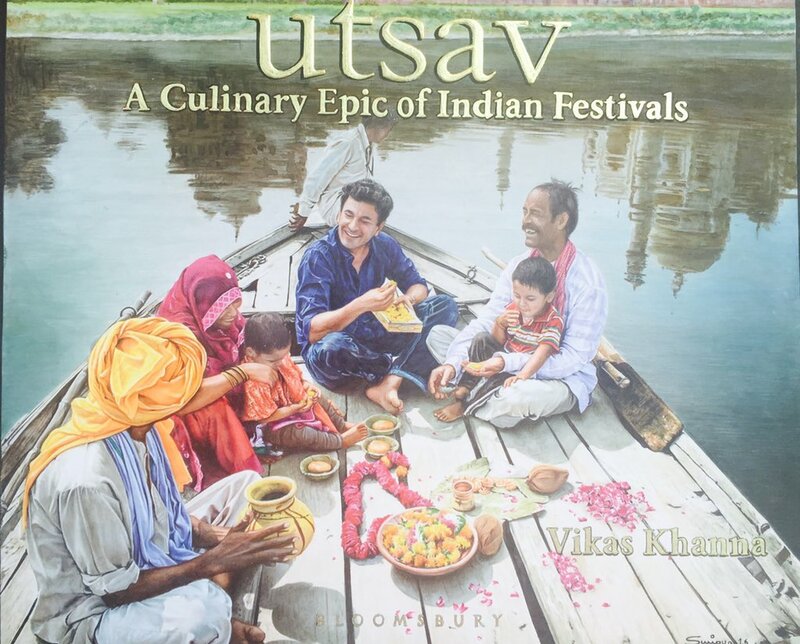 I loved his book Utsav, priced at Rs, 8 lakhs, which had incredible art by the super cool artist, Suvigya Sharma. His works are so incredible and show the wonderful colors of India. I was speaking to him and he was telling me with full humility, how he is doing some great stuff for everyone in the country from the Ambanis to almost everyone in Bollywood. The beautiful thing was that almost everyone there wasn’t born wealthy or successful. This country has ensured that all of us with talent, passion, desire and creativity to pursue what we believe in will eventually be rewarded. The future by the grace of God is great, these children can see this and will get even more inspired to pursue what they really want to do. Only when each one of us pursues our dreams and gives it our everything that we can truly be happy and successful. Keep smiling and keep spreading the joy to have a country filled with Happionaires! Lots of love and gratitude to all! And do make sure you make more and more people smile! Incredible What Everyone Had To Say About The Happionaire Talks At WEF and A Big Thanks! Lovely post Yogesh and love how you are sharing so much more about diverse areas. Makes it so interesting......looking forward to more posts, talks and writings! Love and smiles to everyone! 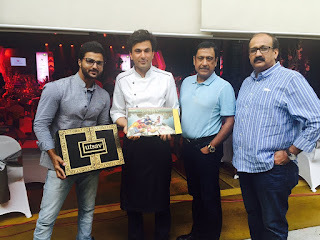 Super post and must be a great evening..............I have been to Junoon and Vikas is a great cook. Any pictures? Vikas is super cute!!! ......i should confess i bought the usha air fryer thanks to him! Though it is a super nice product!! So very nice knowing about the Smile Foundation and they indeed are true happionaires and knowing about people who made it happen like Santanu, Swatantra...a really patriotic name...Shifrah and Manisha...in addition to the other celebs you shared. I like the fact you also gave credit to faces who are less known and who make things happen and bring about a beautiful change. India is growing and changing thanks to people like you! Humilty and niceness are important values. Was so nice knowing about Suvigya Sharma and checked out his art........superb and mind blowing! I wish the newspapers shared more on how well things ar ein our country and showed the side you always show Yogesh. The world needs to know about all the good that is happening to inspire more people. .....so looking forward to the next Happionaire Talks! God bless Virat, Vikas, Smile Foundation and the lovely people there! Lovely to know about Neeti and Arman! Indeed superb young voices and talent! Superb story, when are you sharing the WEF videos? Want to see them!